Sam’s got not one, but TWO recipes to add to our School Night Suppers. He explains them both at 17:11 minutes into the show podcast below. 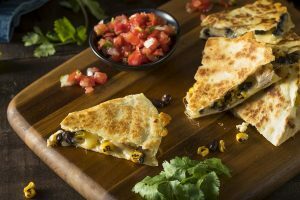 Cook the burgers to you preference and chop them up (so you can sprinkle on the cheese in the quesadilla). 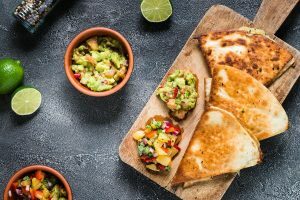 Melt butter in a large pan and heat a tortilla. As it starts to puff up flip the tortilla. Sprinkle cheedar on half the tortilla and top with burger and any of the other toppings you wish. Usually my kids just want the burger and cheese and I add all the other toppings for myself. 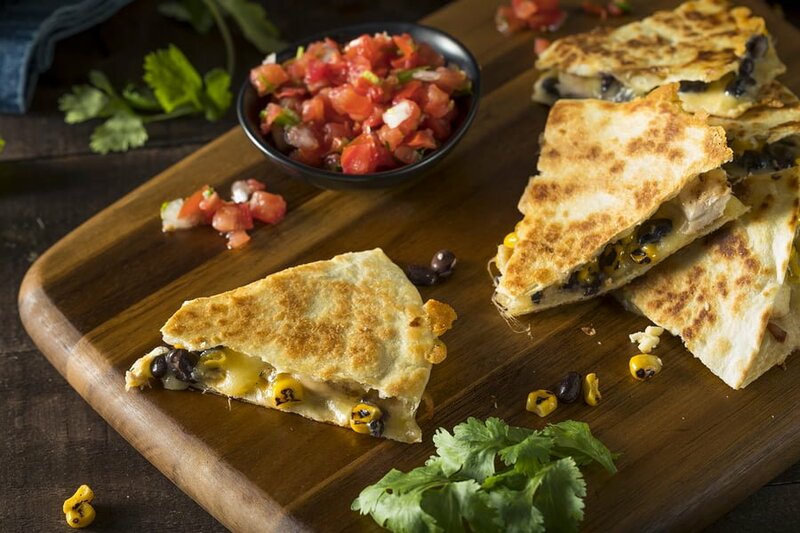 Fold the tortilla over and cook on both sides…flipping as needed until the cheese melts and the tortilla is cooked to your preferred doneness. Sprinkle shredded cheese on half the tortilla and top with taco meat. You can also add regular taco toppings like tomato and lettuce if you want. Slice it and serve with sour cream, salsa, etc.for dipping. 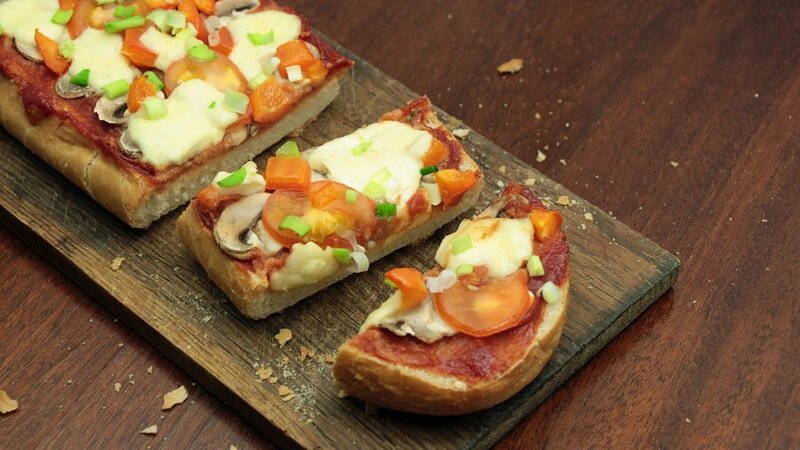 Check our this EASY School Night Supper — French Bread Pizza!!! (Jodi explains the method at 33:44 minutes into the show podcast below). Everyone gets whatever size slice they want, and they fix it the way they want!! SO fun. SO easy. Mom or Dad handles the oven. Put in over at 375 for 7-8 minutes or until the bread is crispy and toppings are melted. Jodi goes more into detail on this yummy recipe first in the morning. Specifically 1:08 minutes into the show podcast below. In the morning, place chicken breasts in slow cooker, season with salt & pepper and place a pat of butter on top of each chicken breast – cover and cook on low for 8 hours. Don’t open the slow cooker until you are ready to shred and eat the chicken. IF you are using powered taco seasoning – shred chicken and then mix in some tomato sauce and the seasoning. 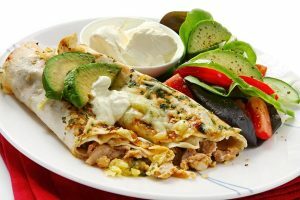 IF you are using the liquid taco sauce – you can cook the chicken IN it, or add once the chicken is done. Spoon into taco shells along with all the fixings. PS – Slow cooked chicken is the easiest to shred!! !